One thing I really miss since our home became a “nut free zone” is peanut butter, love the stuff. But I am here to let you know that there is an alternative and actually it is not at all a compromise because this sunflower seed butter is just as nutty and delicious as the real thing, hell my other half actually thought it was peanut butter. 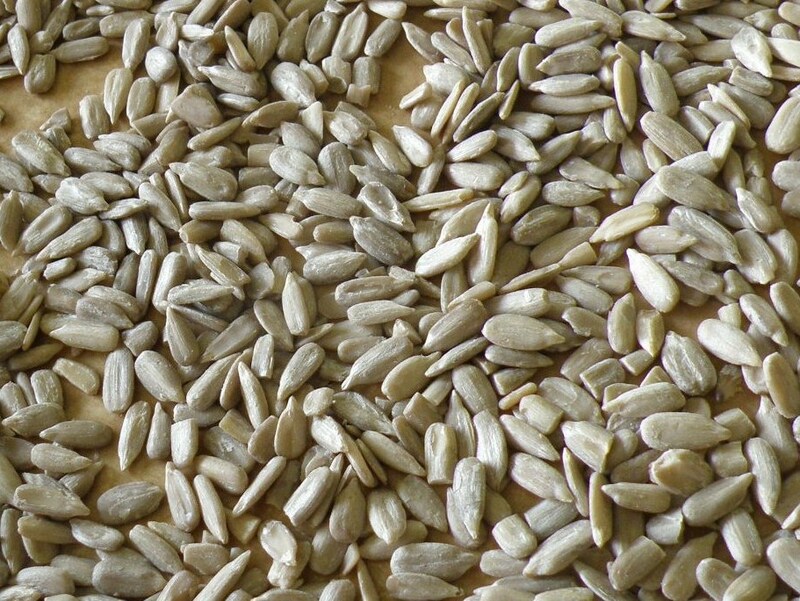 The “secret” here is that you have to pre-roast your seeds, but this is a super quick and simple thing to do so don’t be put off from trying it out. Use this to replace peanut butter in any recipe; is lovely to dip apple slices into as a snack, on toast, in sandwiches and in baking. 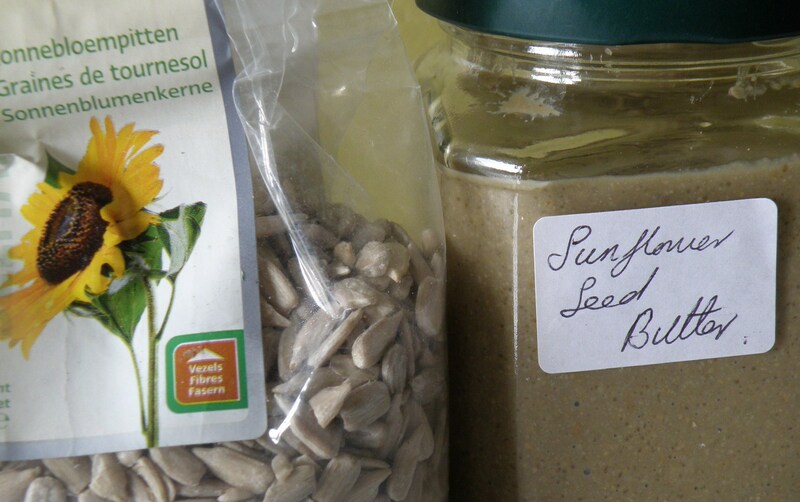 You can make a pumpkin seed butter the same way. 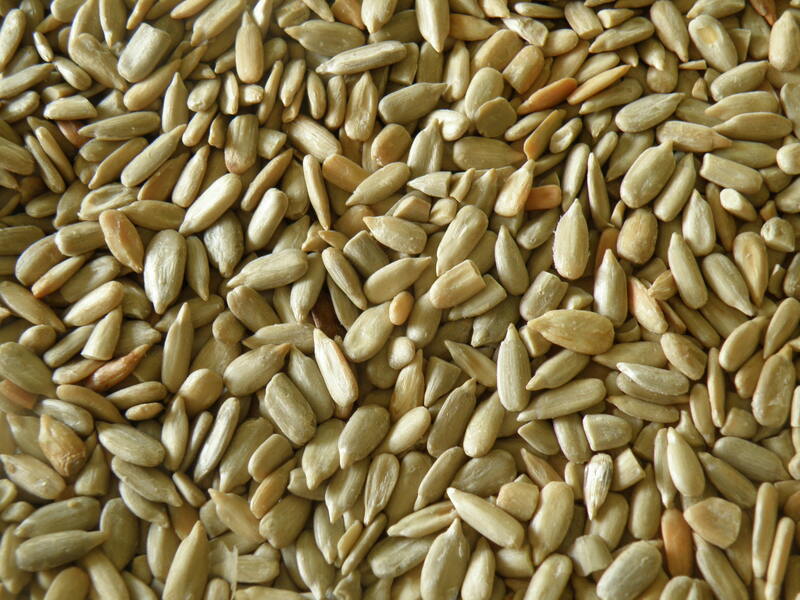 1/ First you need to roast your sunflower seeds, this releases their nutty flavour and makes for a much more delicious end product. The easiest way to do this is to get a large baking tray and line with greaseproof paper. 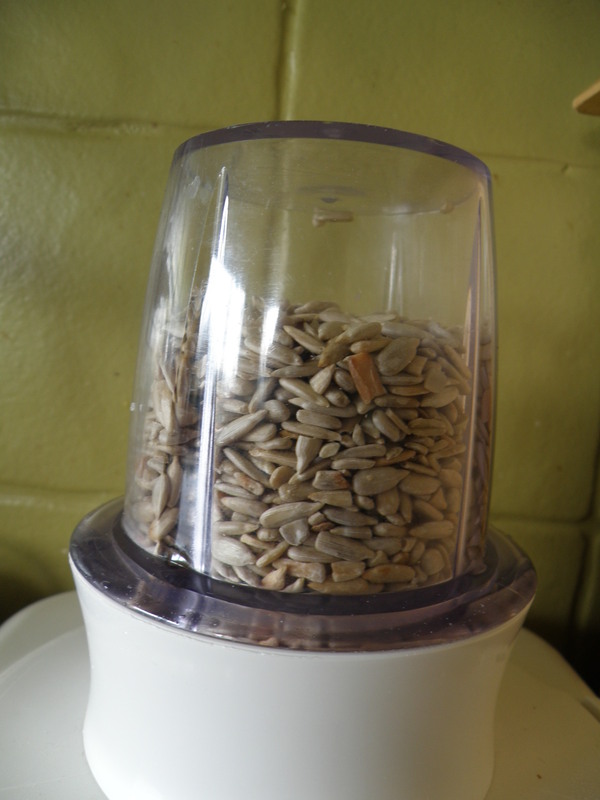 Spread your sunflower seeds onto this evenly. 2/ Place in the oven. You need to check these every couple of minutes, this doesn’t take long and also it’s good to give the tray a little shake every now and then to make sure they roast evenly. Once you notice the seeds have started to go slightly golden and are releasing that telltale nutty aroma they are ready. Remove from the oven and leave to cool. 3/Next you need a way to grind them up as small as possible. I use a nut grinder attachment for my blender, it doesn’t make a fine powder but I’m ok with little crunchy bits in the end result. 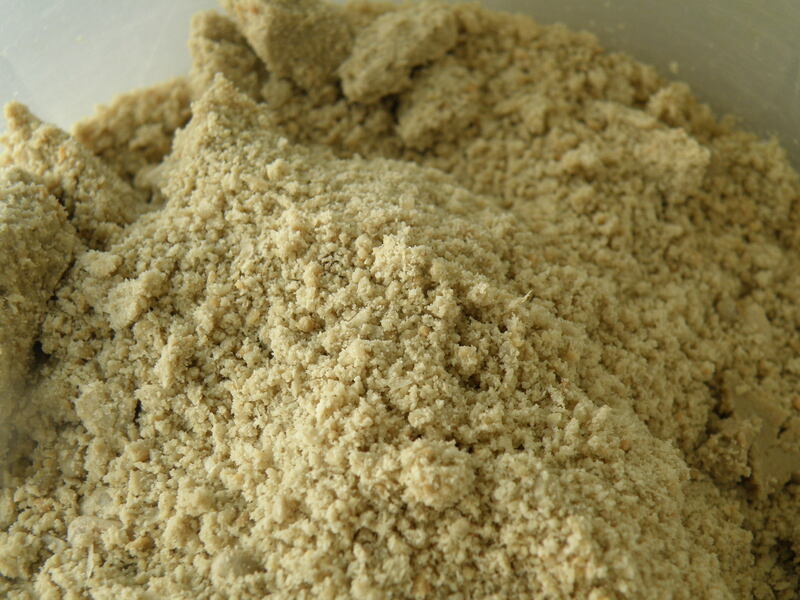 If you want a smooth end-result you need a spice or coffee grinder to make a finer powder. 4/Once you have your powder transfer to a food processor and add a pinch of salt and if you want to add a little sweetness a little sugar, syrup or honey. 5/ Add the oil a tbsp at a time and blitz in between until you get a paste you are happy with (I find around 4 or 5 tbsp is about right). Taste and decide if it needs extra salt/sugar then simply bottle and store in the fridge. I wish I’d known about this during my pregnancies….I missed peanut butter so badly & tried all substitutes, they tasted ok to start but were no match really…I love love love peanut butter & would find it hard to live without now. This looks great though. It’s amazing how close to a peanutty taste you can get with this. It’s really good on toast. and on crackers too, I agree Roy it’s made breakfast time toast happy again! I just looked at the Maranatha one, I have no idea which is cheaper but seeing as they make nut butters too I would not buy them for fear of cross contamination. Looks good though! this sounds great! how high would you recommend setting the oven temp? 250? 350? Thank you! thanks, bev!! can’t wait to make it! 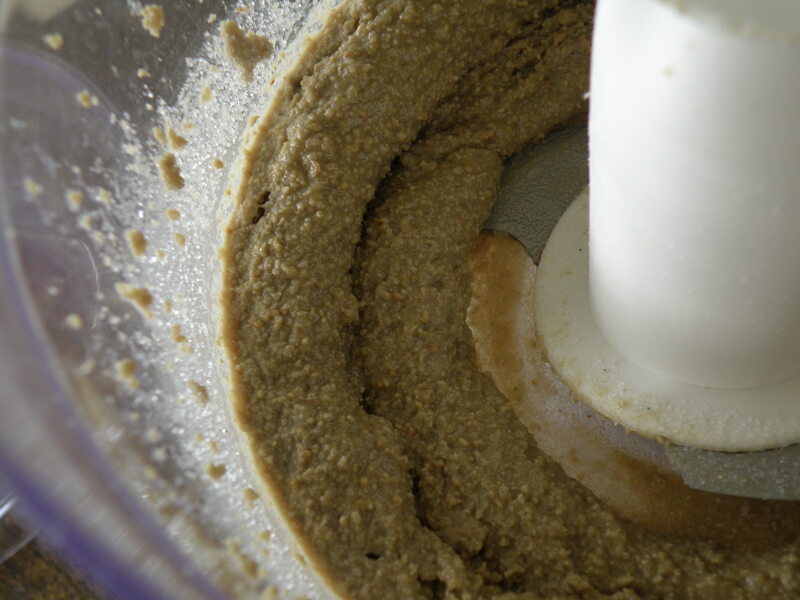 I did not expect that making sunflower seed butter would be this easy or that you use a nut grinder and grind it into a powder like substance. Just that powder has my recipe brain clicking! I never would have guessed this is how to make sunbutter. This is also very economical! Appreciate that element too. Thanks. I know right? Could make some fabulous things with the powder too!